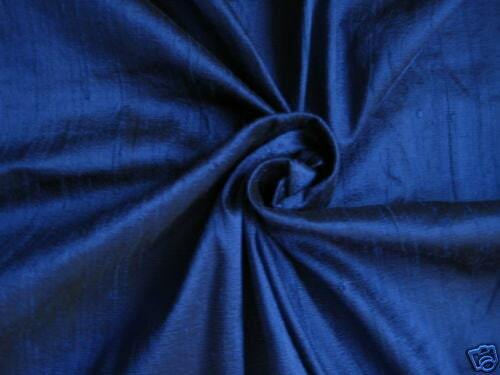 Royal Blue dupioni silk fabric. Brand New High-End Dupioni Silk Fabric Yardage. 45 inches wide. My fabric shipped extremely fast and in good condition. I ordered Thursday morning and it got to me Saturday Morning! Beautiful Fabric. Just love the color and was perfect to use to make a ballet costume for Flames of Paris. Amazingly beautiful rich blue and the quality of the silk is wonderful. I'm a frequent shopper at DesignersNeeds because the shipping is exceptionally fast and the fabric is always pristine. I couldn't be happier. Such beautiful fabric and speedy fast delivery! I will be purchasing all my silk dupioni here in the future. Thank you!